Kids haircuts can a fantastic experience or a nightmare. I'll never forget my oldest son's first haircut... I'm so thankful I had a fantastic stylist cutting his hair because he literally had to chase my son around the salon taking the snips from his hair whenever possible. At one point he was underneath the sinks - which proved to be the easiest place to finish the haircut apparently. Everyone was laughing hysterically (including the stylist who is a father of 4 kids!). My youngest has never been a fan of haircuts and to this day (at age 7) he still sits there with the look on his face of... "I can do this. Only a little bit more. I will survive. Only a couple more minutes until I get my lollipop..." It wasn't until we found Cool Cuts when my boys started to warm up to getting haircuts. I'm not sure if it was the distraction of being able to watch some of their favorite movies of their choice or the option of playing video games, or being able to sit in the themed seats. We've gotten many, many haircuts for the boys at Cool Cuts and each time I knew it wouldn't be a struggle to get their hair done! 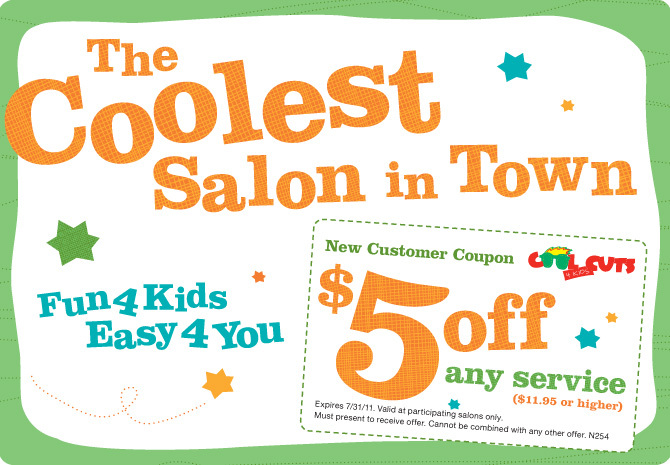 Just in time to kick off the summer, here is a fantastic $5 off coupon for new customers at Cool Cuts. Note it expires 7/31/11. You can also go here to download another image and search out locations for your closest Cool Cuts. This Sunday is Father's Day and Wendy's is working to #TreatItFwd by making lots and lots of donations to the Dave Thomas Foundation the weekend of June 18th and 19th. 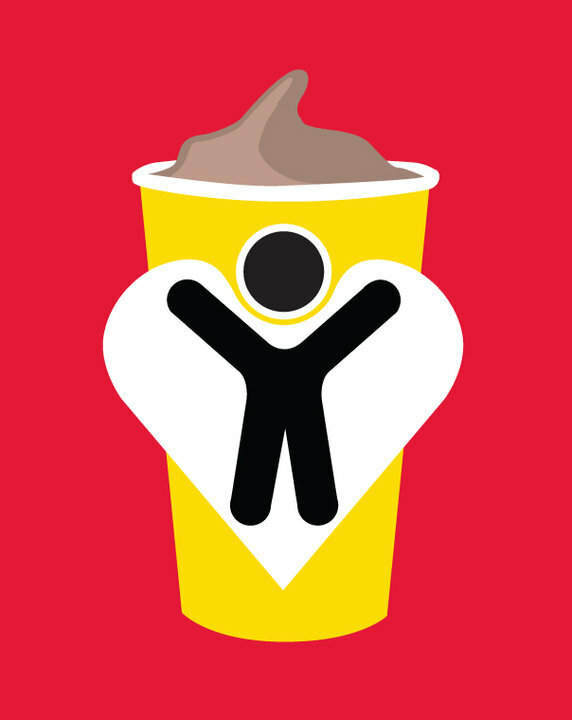 50 cents from each Frosty purchase will be donated to the Dave Thomas Foundation to benefit Wendy's Wonderful Kids (a program that helps foster children find great homes). Send a "virtual" Frosty on Facebook (note: you can use the application here to do that easily, look for the Treat It Fwd tab). You can also post a picture of you with your dad and post it on the Facebook Fan page here (tag it with the words "Wendy's Father's Day Frosty Weekend". You can also tweet it! 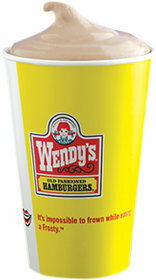 Check in to any Wendy's using Foursquare on June 18th & 19th. As you can see there are LOTS and LOTS of ways to participate and #TreatItFwd this Father's Day weekend. But, here's the best part... I've got a $10 Wendy's Gift Card to giveaway to one lucky reader! Comment here on this post or on the Facebook fan page, I'll accept all entries. It will close at 9pm pacific time on JUNE 16th, 2011! 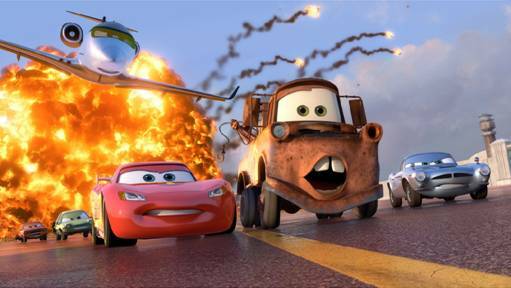 Hurry and post a comment saying what your plans are for Father's Day. This is a VERY fast turn around on this giveaway so that I can get the gift card sent out in time for Father's Day. Additional entries will be accepted for tweeting the using the hashtag of #TreatItFwd on Twitter, becoming a Facebook fan of OCMomActivities here, recommending OCMomActivities to your friends on Facebook or comments on why you think Paying it Forward is so important (great opportunity for getting creative!). Hurry, get posting, tweeting, checking in and commenting! *Note this is only open to residents of the US. 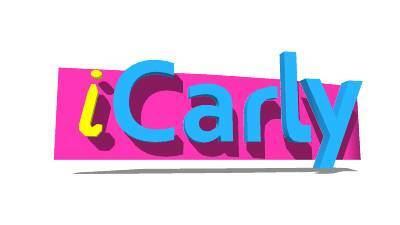 Do you have kids that are huge fans of iCarly? 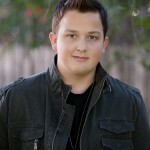 If they are you will want to be sure to head out to Crossline Commnunity Church 23331 Moulton Parkway, Laguna Hills this Saturday (6/18/11) at 10 am (event is FREE and goes until 1:30pm) where kids will get the change to meet and greet with Noah Munck (also known as Gibby on iCarly on the Nickelodeon channel). It's a family event that will have giant inflatables, giveaways, balloons, face painting, carnival games, cotton candy lunch and lots more. We recently had the chance to head over to Ridemakerz at Downtown Disney in Anaheim. As I'm sure you have figured out, I'm not the dainty mom. The kids come to me when they need help passing a level at video games and my husband is the first person to admit that. I love love love being the Mom to two wonderful boys and love building legos, racing RC cars and the other childhood fun for boys. (Yes... I do wish that one day I would be able to venture on to the Princess rides at Disneyland or actually buy something on the Barbie aisle at Toys 'r Us). 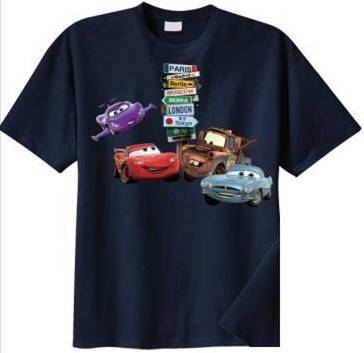 There are selections for all types, from girls to boys, mom to dads as you can see from the variety of cars our family built. 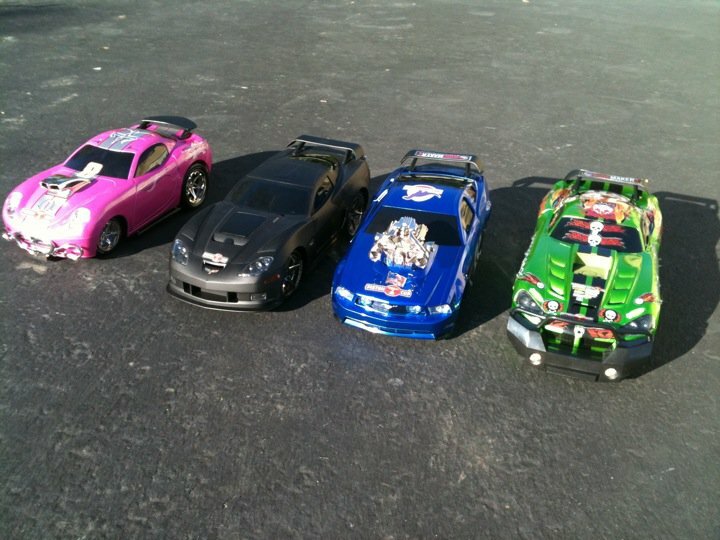 The kids (and adults) had an amazing time customizing our cars. Ridemakerz has just released several exclusive Cars Movie cars, so if you have a Cars movie fan in your house, be sure to head over there so they can customize their very own car from the movie. Want to go build one? 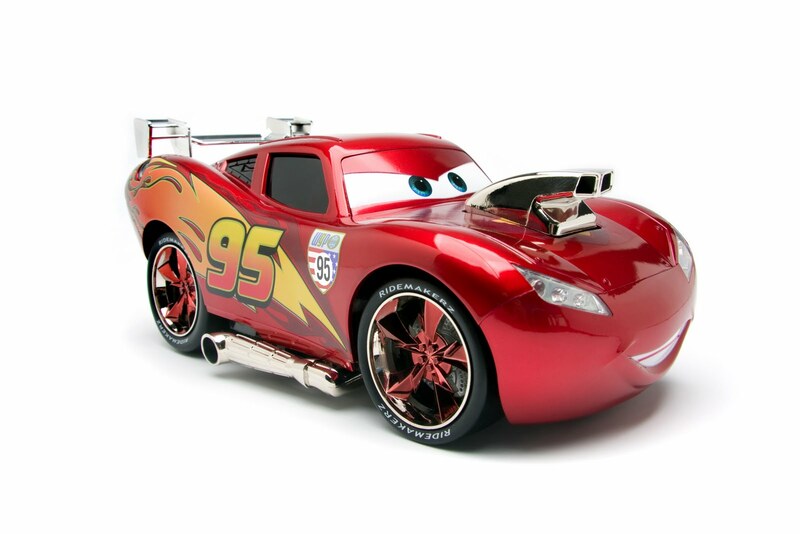 Father's day weekend, they are offering a BOGO offer, so fathers and sons can go get a fantastic deal on customizing your own Ridemakerz car! For more information you can head over here. Be on the lookout for Ridemakerz accessories at some of your favorite retailers.